Sorry about that, bloggy peeps. Getting you excited, then pulling the disappearing act. I had picked up the dreaded lurgy about a fortnight ago and haven't been able to shake it off. Perhaps the kid sneezed into my face, perhaps the cold snap is seeping into my bones, perhaps I picked up the germs from the office.....either way I was bunged up again last week and in bed with lemon tea. Into this warm beanie for the kid's noggin. I failed miserably with the double pointed needles, but managed to do well using the magic loop technique, thanks to Claudine. 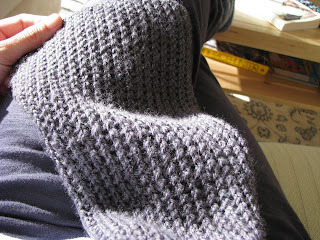 The geezer's neverending scarf is also finished. Phew! Except it seems to be warming my neck more often than his.....oops. I've acquired some yarn to make him something in time for next winter. In the meantime he can share this with me. Hee hee! And just to get linky with you, if you're a mad John Mayer fan like me, then you'll enjoy this. I can't stop listening to it over and over. Unfortunately, the mp3 file is no longer available, but nobody's stopping me from hitting "play".....which I'll be doing again shortly, while the head's still feeling fluffy. Hope you're weekend is good! Oh yay! 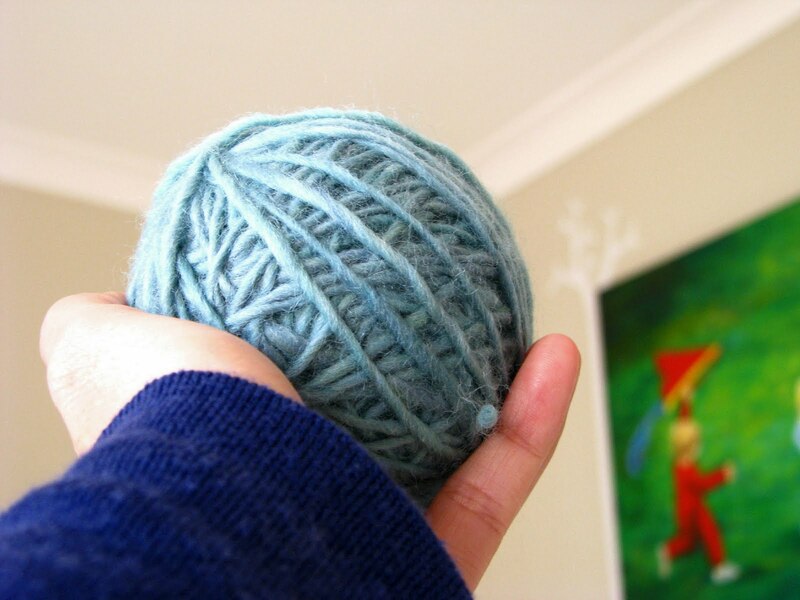 You're going great guns with the knitting, Jade! 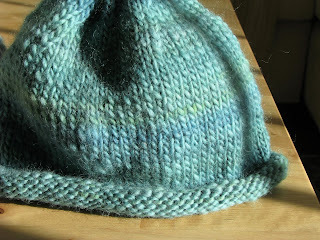 :) The hat looks great and the yarn looks sooo soft and squishy..
Beautiful knitting Jade! It's way too hot here to even think of wearing a scarf, but it's sure fun to see you doing so! seriously, where did you go???? ?